Prima ballerina Anthem Fleet is closely guarded by her parents in their penthouse apartment. But when she meets the handsome Gavin at a party on the wrong side of town, she is immediately drawn into his dangerous world. Then, in a tragic accident, Anthem falls to her death. 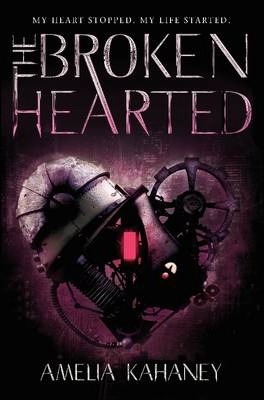 She awakes in an underground lab, with a bionic heart ticking in her chest. As she navigates her new life, she uncovers the sinister truth behind those she trusted the most, and the chilling secret of her family lineageand her duty to uphold it. The Dark Knight meets Cinder in this gripping and cinematic story of heartbreak and revenge. From Alloy Entertainment, this inventive new superhero story is sure to captivate any reader. Some kinds of Heartbreak aren't temporary. High in her tower above Bedlam City, prima ballerina Anthem Fleet has lived her whole life by her parents' strict rules, never leaving the sparkling, pristine North Side. Until she meets Gavin. An artist from the dangerous South Side of town, Gavin is like no one Anthem has ever met--and she falls for him suddenly and completely. But Gavin's world is as dangerous as it is intoxicating, and their romance crashes down around them one terrible night when they are attacked on the South Side and Gavin is kidnapped. When she wakes in a dark, blood-soaked lab, Anthem has a jagged scar down her chest . . . and an experimental bionic heart ticking inside her. As Anthem will soon realize, her new mechanical heart didn't just save her life--it left her with a strange and terrifying new strength. A strength that she's going to need if she has any chance of rescuing Gavin and mending the scattered pieces of her broken heart. Amelia Kahaney grew up in San Diego, California, and Hilo, Hawaii. After graduating from UC Santa Cruz, she moved to New York City and received her MFA in fiction writing at Brooklyn College. Her short fiction has been anthologized in The Best American Nonrequired Reading and appears in several literary magazines. She lives in Brooklyn, New York, with her husband and son.